I personally believe that the gallery‘s role in society is to give the society access to arts. The arts here could be in the form of paintings, sculptures, installations or photographs. It is a form of response(s) from the artists to what happens in society by reading and interpreting the situation. The artwork could stand as a depiction of reality or it could act as a response to criticize the reality. As the role of the gallery is to provide that particular access, it automatically puts itself in the role of educating the society as well. A gallery provides information not only from the local perspective but also the international perspective as well. Ideally, every gallery should have a curator. The curator would have a double role; for the gallery he/she would act as a gatekeeper, to seek and curate which artworks are relevant to be exhibited to the public and for the society, the curator acts as an agent of change where he/she would try to give place for new opinions constructed by the artists that he/she had selected from the society. The one that should be highlighted here is that the galleries, the curators and the artists are all part of one environment and society on the other end. It should be made into an understanding that even though one could exist without the others but that particular act would only akin to self-gratification. In other words, the gallery, artists and curators have created a response from what happened in the society and society needs to correspond back to their works. Photography, at first, was never considered as a form of art because it is viewed as the replication of reality. However, as it developed, the resistance of photography as an art form receded and nowadays it enjoys a cozy position in between the work of documentation and art. If we talk about the history of the photographic gallery, there was one prominent curator who always tried to push the boundaries. At a time when black and white photography was the norm, the gallery that he curated made the most significant statement: that they should have a one-man show on colour photography. The curator’s name is John Szarkowski and the gallery that he curated is the Museum of the Modern Art in New York. The works of William Eggleston at that time was definitely a ground-breaking statement where it marked the acceptance of color photography by a very prominent institution. In Indonesia, has the gallery achieved is purposes? 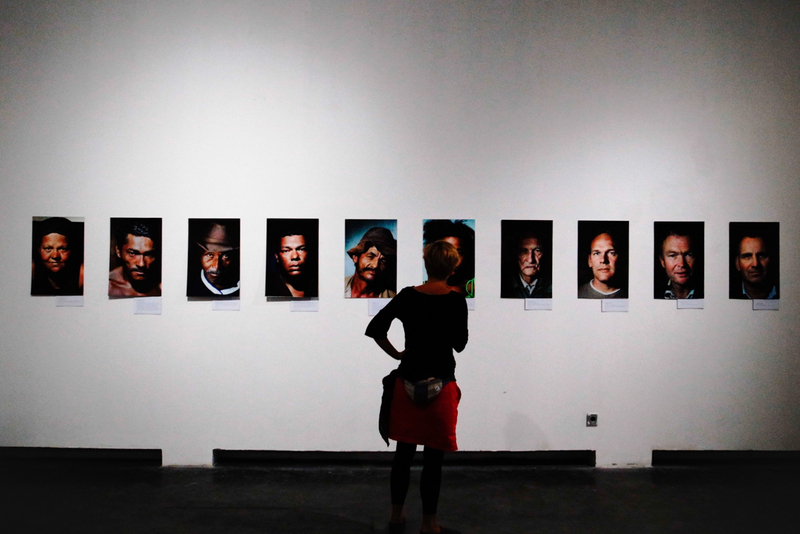 The last exhibition held in Antara Photojournalistic Gallery (GFJA) featured the personal project of Dinda Jou Ismail, which showed the photographs taken from her Instagram. There is only a relatively calm sentiment during and after the exhibition. Prior to the exhibition, I’ve had a discussion with fellow senior colleagues and they still couldn’t comprehend the particular reason why another friend of mine would choose to use a mobile phone camera to pursue a photography project. At that time I felt that the sentiment echoed by these colleagues would be accepted if not agreed by GFJA, due to the fact that Oscar Motuloh, the curator of the gallery is from the same generation as my colleagues. The exhibitions of Dinda Jou Ismail, of course proved otherwise. What can we tell from that story? No self-gratification had been conducted. GFJA had provided the public all the necessary elements; there were the artist talks, the exhibition which opens to public and there is a book being published in which that it all stands as the depiction of reality, but has the society become aware of the statement that GFJA had made – that the works based on mobile photography was worthy as other journalistic works that has been hung on the walls of the gallery? Clearly there is a missing link between the gallery and the society, and looking back to my earlier statement, can we still say that the gallery had educated the society properly?